No, I was funded my the Dave Rayner fund last year, so this is my 2nd year of funding and support. I started out with Bourne wheelers cycling club when I was about 12, as a final year junior I rode for the Hargroves cycles race team and for my first 2 years as an U23 I was part of the British cycling academy programme. Last season I raced in France with Dn1 team Guiddon Chalettios. 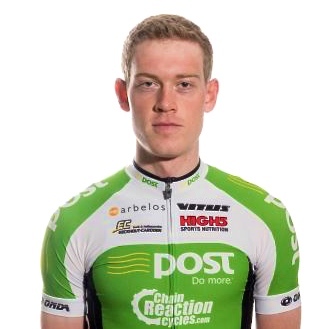 In 2015 i'm joining the AnPost Chain Reaction cycles continental team. AnPost are based in Belgium but will race all across Europe. Sean Kelly is involved with the team and has been very interesting to speak to. So far i'm down to ride GP Marseillaise on the 1st of Feb, then it's into Etoile Besseges and after that possibly Tour of the Mediterranean. I've been on 2 camps with the team this winter, both in Calpe. The First was in December and all about getting to know the team. The second in January was a bit more intensive! I'm out to Europe to start racing from the beginning of February.